The following information is provided by our system vendor and should help you troubleshoot any issues you might have. The maximum size for a file upload is 25 MB. The name of the file you upload can not be longer than 255 characters and should contain only letters and words, no special characters or leading or trailing spaces. Try clearing your browser's cache. If this does not resolve your issue, please proceed to the next step. If you are using the Upload Button feature, you must have Java installed on your computer, except for Chrome and Firefox which use HTML5 instead of Java to upload folders. Verify that the file's name is valid. File names must be 255 characters or less. Use only letters and numbers in your file name -- those containing non-printable ascii, "/" or "\", names with leading or trailing spaces, and the special names “.” and “..” are NOT supported. Proxy servers may sometimes cause failed uploads. If you see the error message: An error occurred with the upload. ... Please refresh the page and try again. Restart your computer. Occasionally, one-time issues may prevent Java from functioning correctly, and a restart may solve these problems. Many issues using forms on our system can be solved by clearing your browser cache. Read below for some instructions on how to do this. On a PC, click the "Firefox" menu in the top left corner. 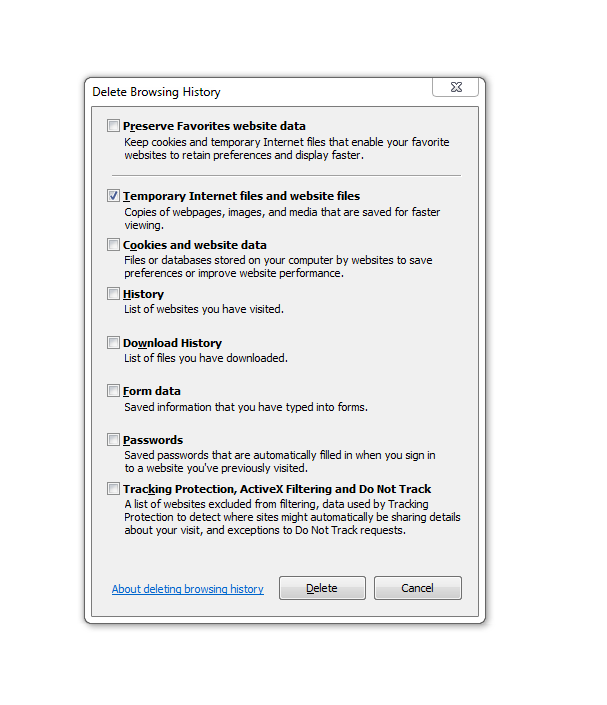 Next, select the right arrow next to "History >", and click "Clear Recent History." On a Mac, hover over History and select "Clear Recent History…"